One of the newly introduced concept in FRTB are non-modellable risk factors. This is likely going to be one of important issues in FRTB implementation, for a number of reasons. First, let’s recap what the regulation means when it says “non modellable risk factors”, and what are its impacts. Then we will discuss some of the connected issues. Non modellable risk factors (NMRFs) are all risk factors that are not eligible to be included in the bank’s risk models. In broad terms, the regulators want only risk factors supported by “good” data – and what represents good and bad data is the difference between non modellable (not eligible) and modellable (eligible) risk factors. 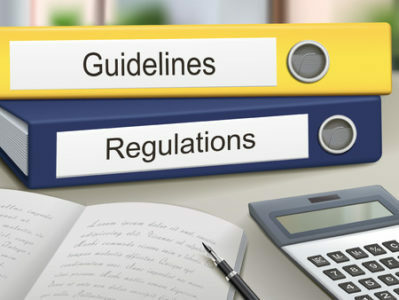 The regulation defines the first test as having at least 24 real prices in the twelve months period that was used to calibrate the current expected shortfall model (i.e. mostly last 12 months), and there cannot be more than one month between two consecutive observations. The price is obtained from a committed quote. The test for eligibility has to be carried out monthly. It should be noted that risk factors that are a derivation of purely modellable risk factors are still treated as modellable. The regulation gives example of multi factor beta models where all inputs and calibrations are on modellable inputs. Clearly, each NMRF is costly to the bank in terms of capital. Each NMRF requires its own stress scenario – calibrated over a period of extreme stress for the NMRF, and calculated using at least 97.5% confidence threshold – in effect, a similar calculation to . The liquidity horizon of the NMRF is the larger of its prescribed horizon, and the largest gap between price observations. A zero correlation can be assumed only for idiosyncratic credit risk, and has to be demonstrable to the regulator. If the bank is able to demonstrate this, then it can calculate this idiosyncratic credit risk as a square of sum of squares, but all other NMRF stress capitals are simply add-ons. From the above it should be clear that NMRFs have potential to be significantly capital intensive. One could think that NMRF may have similar impact on backtesting and PnL reconciliation. Fortunately for the banks, BCBS made some allowances in this space. For PnL attribution, NMRFs may be used in calculating risk theoretical PnL. For backtesting, where an outlier is identified and can be shown to be driven by an NMRF, the outlier can be ignored as long as the capital calculated for the relevant NMRF is higher or equal to the loss on the day (subject to notification and approval by national regulator). Let’s address each of the conditions separately, starting with availability. There are obvious issues, especially in the credit arena, where specific issues can be illiquid, and it may be impossible to get 24 quotes in the last year. Less obviously, for some assets (again, often in the credit space, but also some basis swaps) there is a limited number of market makers – sometimes only one or two traders may be the market makers in particular CDS. Then ironically, the asset can be fairly liquid for most of the year, but almost illiquid in the absence of the trader – for example because of holidays, illness or similar. We then may end up with a set of prices that is considerably larger than 24, but has a large gap – possibly even over the month. Indeed, it looks like a number of single-name CDS will fall under NMRF. A similar, if somewhat rarer, situation can occur to an infrequently quoted instrument (generating a risk factor). Imagine an instrument that has exactly 24 real prices before the end of the month, and for whatever technical reason, the prices tend to bunch around end and start of the month. s the end of the month. Come new month, the oldest price falls out, and there are only 23 prices, making the risk factor NMRF. But few days after the month start, a new price comes in, making it 24 prices – but is outside of the review box. The risk factors associated with this instrument may then well end up being NMRFs for purely technical reasons. Shrinking the NMRF review box is theoretically possible, but it does not necessarily solve the problem – albeit it could make the risk factor jump between NMRF and modellable risk factor more often. It could be argued that the above are fairly artificial constructs, but we do not believe this to be so, especially for the first case. Yet, the second part of the definition – real prices – is even more tricky. For example, it says it has to be transacted – but does not define size. Thus colluding parties could transact $1 of notional trades to generated prices, if they wished to – and, in theory, gain an advantage over other parties. Similarly, the definition of “arms length” is imprecise, and historically, regulators accepted dealings with some subsidiaries as at arm’s length (for example, because the subsidiary may have had different regulator). A grey space may well exists here. We haven’t even touched on the risk factor mapping and discovery process, which is non-trivial in and of itself – let us just say that risk factors are not always quoted separately and cleanly. Most often one gets prices for product or instruments, pricing of each depends on multiple risk factors. From the above you can see that NMRF is something that an institution should look at carefully, both tactically during the migration to FRTB, and strategically – for example in terms of acceptable number and magnitude of NMRFs. An interesting observation is that in general, FRTB punishes complexity and diversity of instruments. 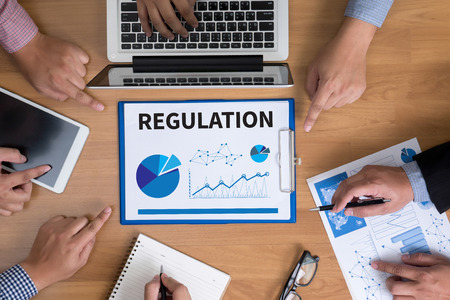 Less so with NMRF, as the parties that trade act as market makers, of frequent users, of some instruments, may be able to see them as eligible, while simpler counterparties will have to treat it as NMRF. BCBS publishes FRTB FAQ – but does it help?